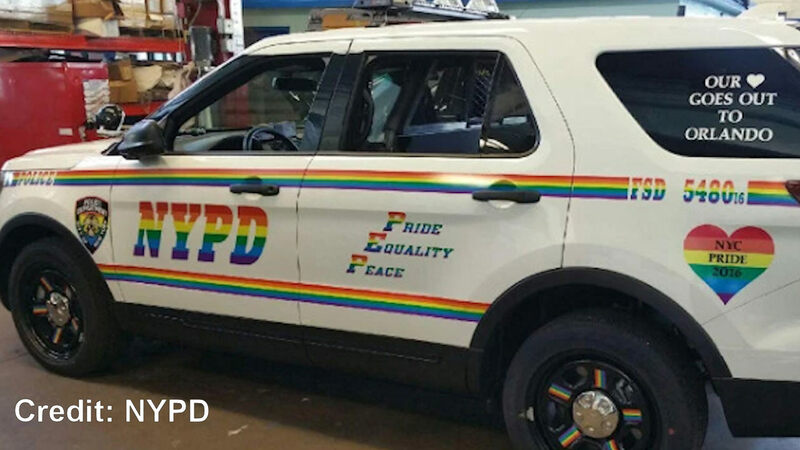 NEW YORK (WABC) -- An NYPD vehicle has been specially painted for this Sunday's Gay Pride Parade in New York City. The vehicle features a heart sticker that reads, "NYC Pride 2016" and the words "Pride Equality Peace" both in rainbow colors. It carries the letters FSD, which stand for Fleet Services Division, on its side.